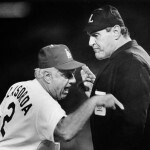 One of the most important aspects of a successful baseball team is the ability to win close games. In order to do that you need to get two vital parts. First you need to have solid relief pitching. If your bullpen is leaking runs in the late innings and unable to hold leads then you’ll have a hell of a time winning those one-run games. Another key part of winning the close games is situational or clutch hitting. Getting hits with runners in scoring position is just as important if not more than a bullpen that holds leads. The two work together in tandem, and are a necessity if the Dodgers are going to win the World Series this year. Despite those glaring weaknesses, most sports gambling outlets are picking the Dodgers to win it all this season. Unfortunately those two categories mentioned above are the Dodgers primary weaknesses in 2018 and the main reason why they are unable to win the close games. The Dodgers are 19-21 in one-run games this season and we can easily see why. Looking at the numbers for the relievers, it is plain as day. The Dodger relievers rank 12th out of the 30 MLB clubs in ERA (3.89), but have 25 blown saves, which puts them atop the list. The Dodger relievers have allowed 211 earned runs which places them squarely in the middle of the pack and they’ve allowed the ninth most home runs (64) in MLB. The home runs have really hurt them. Dodger relievers have not walked a lot of batters, but they can’t keep the ball in the park. The Dodgers have a 3.38 ERA from the seventh inning on and a 3.85 ERA in the ninth inning or later. Not terrible numbers, but certainly not good enough to win a World Series, or even the NL West. While the relief pitching has definitely been lackluster, the situational hitting has been non-existent. The Dodgers are hitting .245/.345/.393 with runners in scoring position and posted a .793 OPS. That ranks them 24 out of the 30 clubs. The Dodgers are hitting .240 with a .731 OPS in the seventh inning or later. 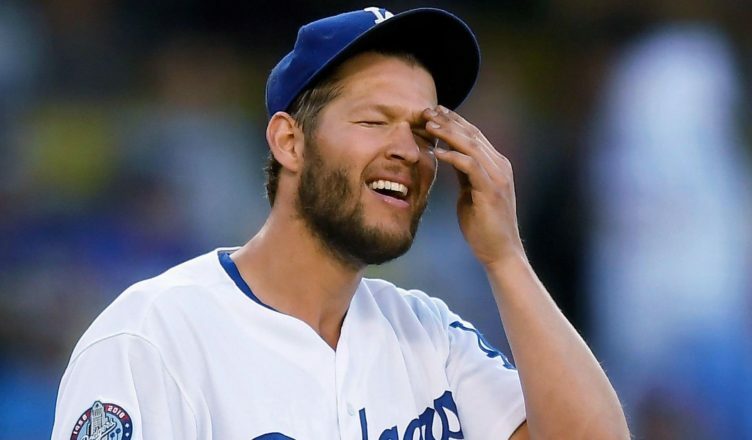 With the bases loaded the Dodgers are batting .243 with a .694 OPS, and with runners in scoring position and two outs the Dodgers are hitting a blistering .198. It’s hard to come up with a solution here. The front office did little to nothing to address the actual problems. The relief pitching is still a mess. The hitters still have difficulty coming up with the big hits. One solution might be to stop going with match-ups all the time and play your best hitters. For instance Manny Machado is batting .343 with runners in scoring position. Matt Kemp, despite his second half struggles has been fantastic with men on base. He’s hitting .347 with a .954 OPS in those situations. Max Muncy has a .411 OBP and a .933 OPS with runners in scoring position. Justin Turner is generally excellent, batting .321 with a .922 OPS. There is light at the end of the tunnel. If the Dodgers want to play baseball in October then they need to resolve these problems. Scott, I appreciate the sentiment of winning the World Series with this two part view of the necessity of efficient relief pitching combined with ‘clutch’ hitting with RISP. No doubt, this is a winning combination and is a hallmark of a good team. However, we are a long way from even getting to the WS and we seem to be a long way from combining these two elements into a consistent application in order to get into the playoffs! Currently, we have a good chance to win the division which to me is the best chance of reaching the playoffs rather than as a wild card. We must overtake both the Rockies and Dbacks and secure the division and prove that we can play this two part strategy consistently. If they can pull this off, they will have to play at a different level than they have played all year. What are the chances of that happening? They have played sporadically throughout the season, often creating little to no offense and relying on the HR to secure close games. The HR doesn’t have to stop, but the little things like getting men on base and moving them to home plate have to happen and so far, there is little to give me confidence that they will do it. Certainly, they can do it, but they have not shown the grit that good teams show when the time comes to show it. Players like Turner are almost always tuned into the grind and grit aspect of the game pushing themselves to do all they can do. They make the most of their time at the plate and in the field. We cannot say that about most of the Dodgers and those are the players that need to apply themselves most to what is necessary to win. A lot of it is mental. It is a way of looking at things. Matt Kemp 3 run jack. What do you think now? I think it was a great hit! I hope he does it more. The HR saved them, but it didn’t change a thing about the team’s inability to win without it.